The dawn of the internet and the pace to which social media and blogs are taking over pretty much everything the print media has held claim to for the past decades is something the corporate arena didn’t totally prepare for. Everything print can do, the internet can do better and obviously faster. you may also see plan templates. Site statistics, visibility, click through rates and website analytics are terms you would probably hear all the time in the digital stage. These terms might have been used already by the more advanced and forward-thinking people in your marketing team, but have you ever took a step back and tried knowing what they mean and how they can take your business to the next level? Probably not, but it’s not yet too late. Today more than ever, the marketing landscape is slowly leaning towards understanding your customers’ demands. BrightEdge CEO Jim Yu noted the change over the past two years regarding global data. Thanks to digital search, optimization, and social content, the last two years has seen a staggering 90% surge of global data. Marketing in the internet is more than just about electronic mails. It’s more than just about simple social media. It’s beyond blogs, Twitter, Facebook and Instagram because it should be more about the utilization of content in the general sense, as a marketing strategy. You wouldn’t believe how much information customers consume on the internet on a daily basis. People usually end up on a company’s website through multiple paths, such as pop-up advertisements, social media site connecting links, search engine results, banner ads and more. To understand which type of content is best for your business and whether using multiple platforms is effective, you would need a sound content marketing plan sample. So you thought the overabundance of content is exclusive to the idea of content marketing. You thought wrong, because these days, the publishing of content at a feverish pace is happening at a global scale. In just one minute, several contents are published and gets generated in your search engine in the whole world, so it’s no wonder your customers, even though they’re also checking content regularly, are still overwhelmed. 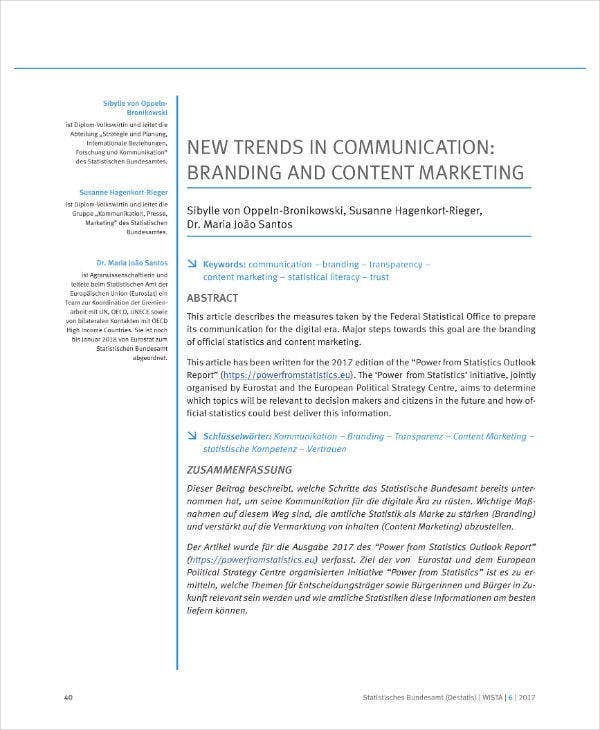 In fact for this year, there’s going to be more content published as businesses move towards the digital way of marketing and putting the worldwide web at the core of their marketing efforts. Naturally, we publish more content every year as the demand goes higher. 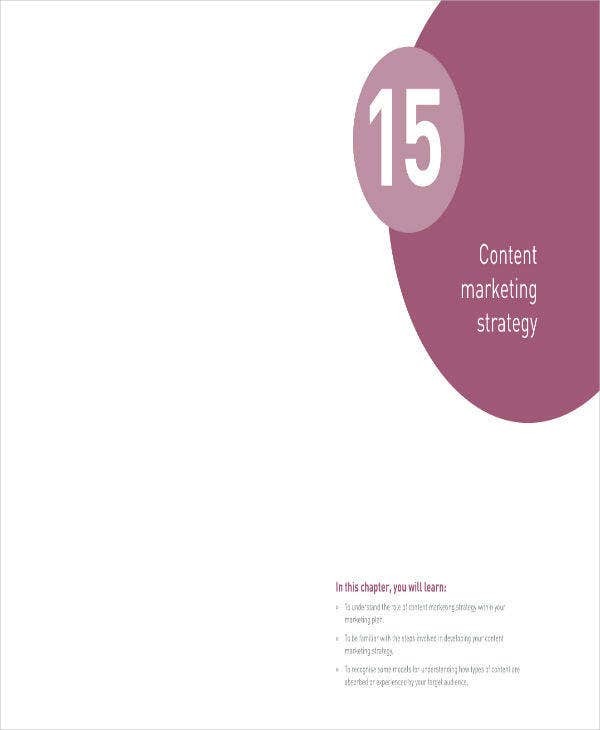 According to analysts and reports by marketing experts, there has never been a year since content has been used when marketers and businessmen didn’t promise to create more content. You really don’t need a detailed forecast for knowing that. 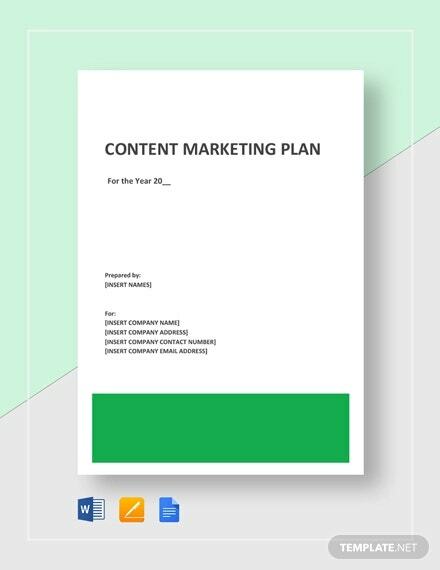 You may also see content marketing plan templates. 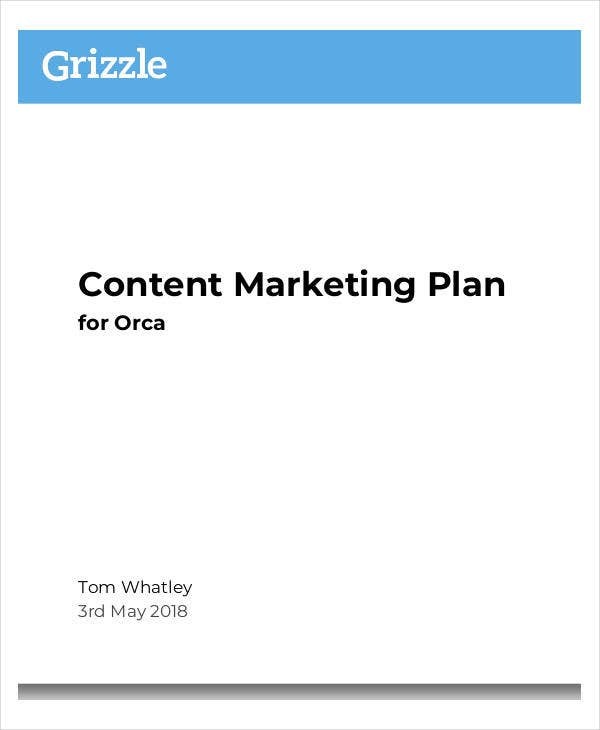 What you need to prepare for is how all the content made available is going to affect marketers, content designers, writers and creators and their audiences. 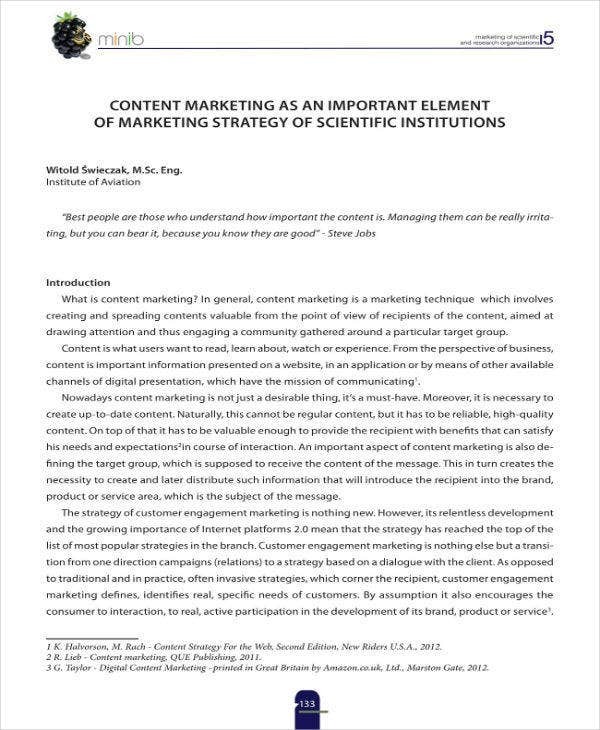 You may also see sample content marketing templates. The more content is created, the more workload you have just for managing it, so you can expect an increased use of analytics and other content management software, whatever makes this task lighter. It would also be double the pressure to back up all the spending with adequate results because more content means more money spent. Hopefully, marketers will welcome the fact that old content can be reused, improved, and updated which would save the simple business a lot of money in the process. 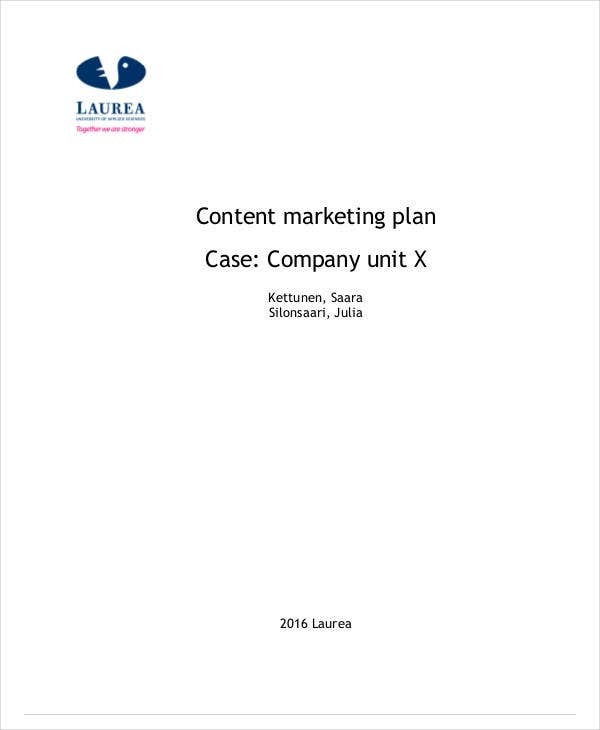 If you wish your content marketing plan to get you the results you need in business, your team of content writers, creators and designers will have to do more content halfway through and towards the end of a customer’s buying journey. This has been emphasized in so many content marketing blogs and articles because it is important that you don’t rely heavily on top-notch content to drive your customer gain, the plan and strategy should instead focus on the support of every stage of a consumer’s buying journey. Just because there’s content for the taking doesn’t mean consumers can consume them all. There’s already too much content but a business aiming for stability and success can never produce too much. There would always be something new to publish every hour of the day, but your customers would likely try to find ways to winnow it. One of the things you should expect is the popularity of a more specialized content. 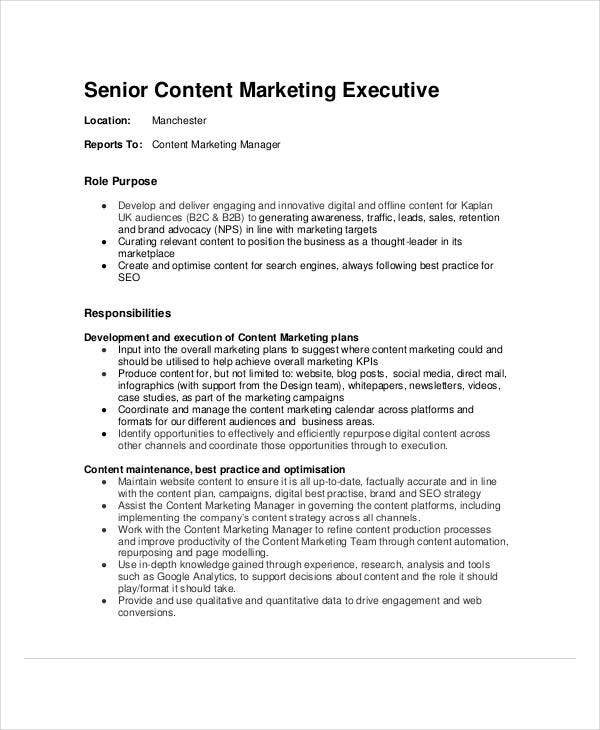 You may also see content marketing templates. Another thing that they could do is click the unsubscribe button for businesses with no more than a sales pitch content top show which is really sales collateral in disguise and not content marketing per se. There’s another way, which is using updated filtering tools. For example, there are so many curated newsletters online that people just skim and skip the parts they don’t want so that they can go right to where they can get the information they want. 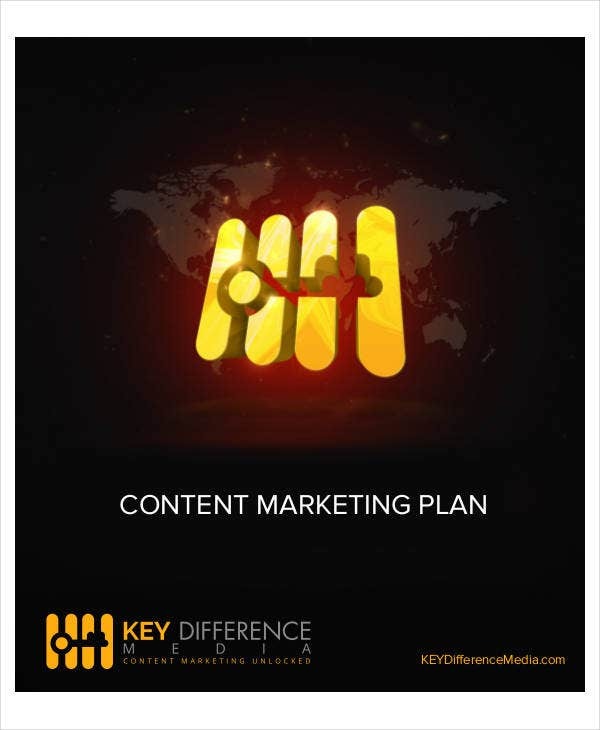 You may also see create a content marketing plan. Having a documented plan and strategy is something you should always strive to do, because marketers who document their plans and strategy are 538% more likely to get positive results than those who don’t, according to a survey. You can start by putting down all the trends you see and make a draft of your best marketing plan and content strategy for the fiscal year. No matter where you put it, even if it’s just on a leaf of a forgotten notebook, it still might get you surprisingly better results. There are different types of content which means you have various options for creating one or two or more. Here are some of the most popular forms of content you can choose from, which had proved to be useful for marketers world over. You may also see sample social media marketing plans. It wasn’t already obvious to you, right now you’re reading a blog post and using it. Blog posts are arguably the bread and butter of a business’ website and so they should be published on a regular basis to keep attracting new visitors. The posts published should offer valuable content for the audience since they’re visiting the website to get some sort of information. Content should be informative, sometimes it should even be compelling so that readers will be encouraged to share them on social media channels. The recommended blog post length is between 1,000-2,000 words but you can play around with it to check whether your audience wants to see something longer or shorter. You may also see music marketing plan templates. 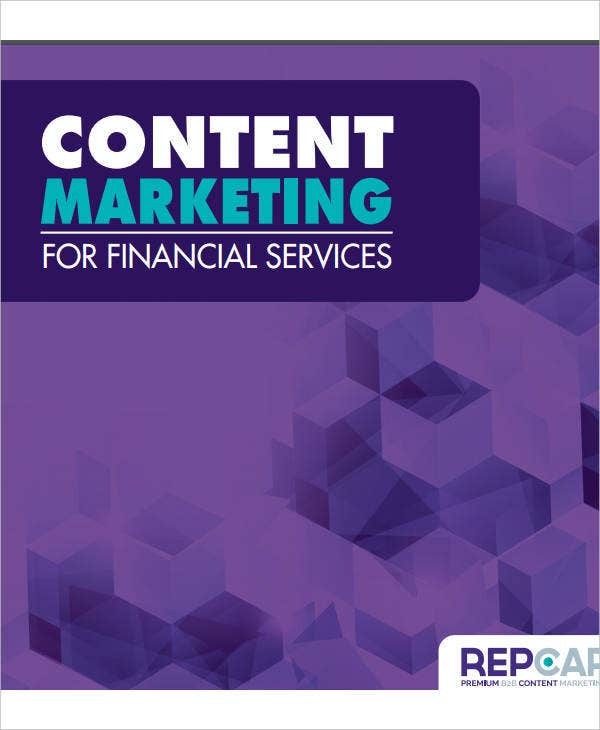 Ebooks are considered lead generation tools that potential customers can use and download after agreeing to be a lead contact and submitting their information. Typically, they’re longer and more extensive, published less than blog posts which are written to get more web traffic. Ebooks would be the next step during the inbound part of marketing. 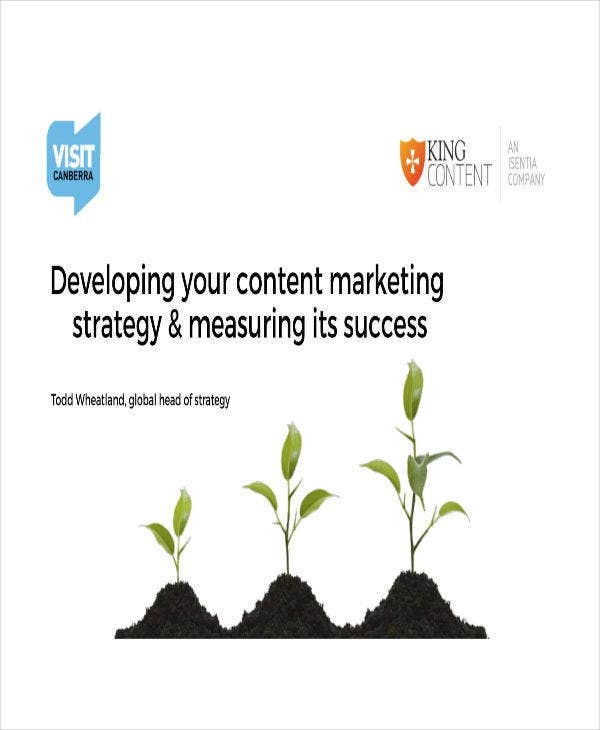 After having read a blog post like this one, visitors might wish to read more content from an ebook and submit their contact details to get more valuable information for the business. Meanwhile, the business who created the ebook would gain a new lead for their sales team to contact and follow up with. Both sides win, everybody happy. You may also see digital marketing plans. One thing that keeps an audience engaged in your content is when you’re able to provide them with tools which helps them save time in finding the information they need. Templates are very useful, handy and valuable to an audience who have fast-paced lives, which is the majority. You can never go wrong with including content in your simple marketing plan. Infographics have a more powerful way of visualizing data and make it more compelling than just using words alone. This is one content format that you might want to include in your plan because it offers data sharing in a way that is clearer and easier to understand. 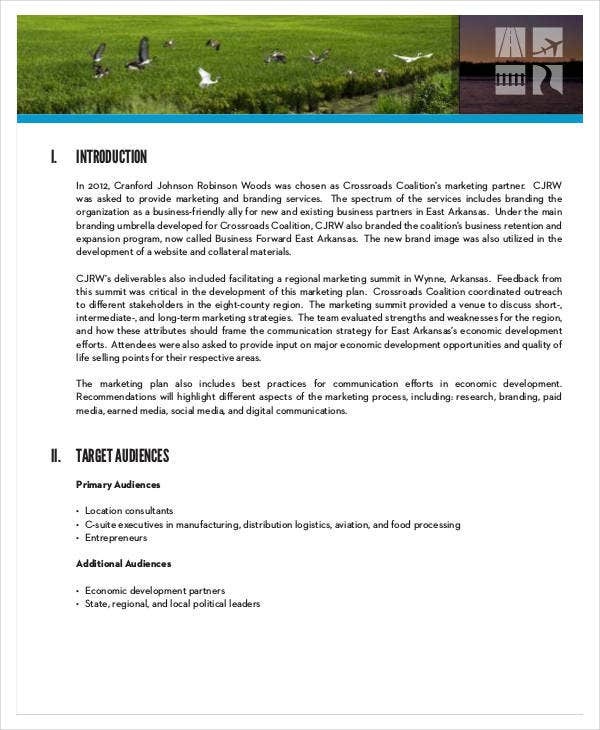 You may also see sample marketing campaign plans. The power of videos in marketing can never be underestimated. Videos make for some highly engaging content and usually, it is what appeals to the audience more when you use it to stir emotions. You can also share videos across both social media platforms and websites. Videos are bigger and they get faster results, as well as appeal quicker to your target customers but most of the time, they require a lot of effort to produce, time and money than written content. Since the demand for visual marketing is increasing, it’s likely to get 50 times more shares in social media than your other forms of content. It’s a medium that speaks for itself and no longer needs experimenting with, and more than any other content, it’s what catches the audience’s attention better and faster. You may also see restaurant marketing plans. Whatever content format you use, it’s important to remember that the content you create for marketing your products and services are not about you or your organization alone. It should be more about the audience-your target audience. 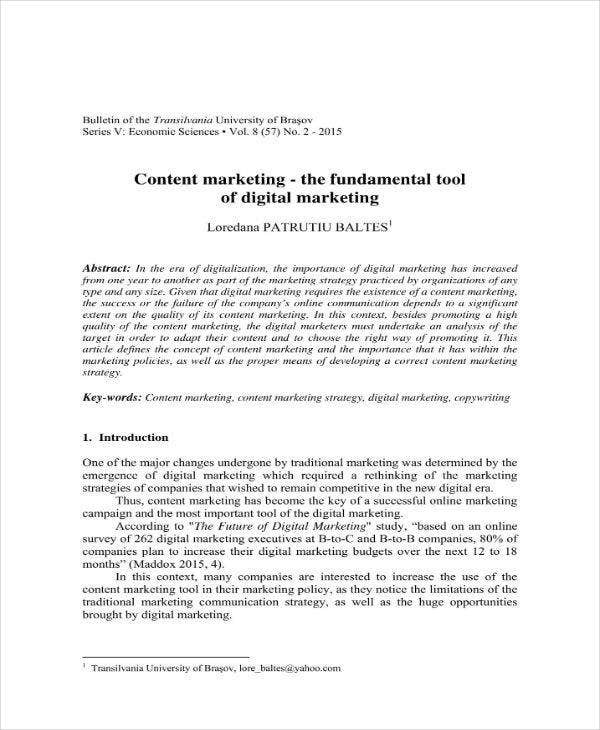 The concept of real content marketing, the one that wins consumers, delivers value to that audience. Content should then be created with the goal of helping people make their jobs or personal lives easier.